In January 1998, Martin Rooney, Rob, Linda & Dar decided to have the first ever Surrey Gay Dance and put on a successful Valentine's dance in February of 1998. Then as more dances were held, more people became involved, this first dance would ultimately see Surrey gain a Gay non-profit society known as Out in Surrey Rainbow Cultural Society, and get established and ultimately OISRCS was responsible for getting the first ever Gay Surrey Pride Day/Weekend proclaimed by Surrey City Hall. 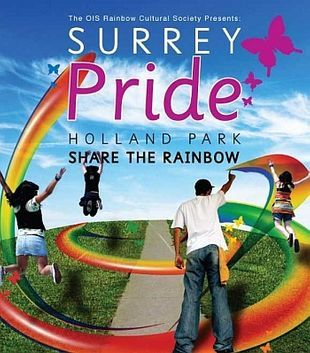 In July 1998 the FIRST Surrey Dance was held at Sullivan Hall, followed by the FIRST Surrey Pride BBQ, Festival and Dance held at Sullivan Hall in June of 1999. Then in January 2008, registered in Victoria as a Non Profit Society #S-41946, this Society was born from the OIS Rainbow Cultural Society that diversified into 3 new organizations, EPAMA, Surrey Youth Alliance and Surrey Pride. In 2012, OISRCS diversified into one Society, Surrey Pride (registered in Victoria as a Non Profit Society #S-41946) by Gary Munro. 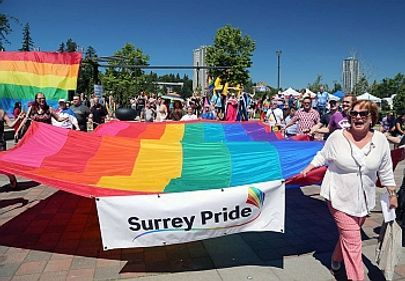 We have hosted the Pride Festival yearly to present, 2018 will mark the Nineteenth Year of Surrey Pride Celebrations in Surrey and 6th year of Surrey Pride Society hosting. 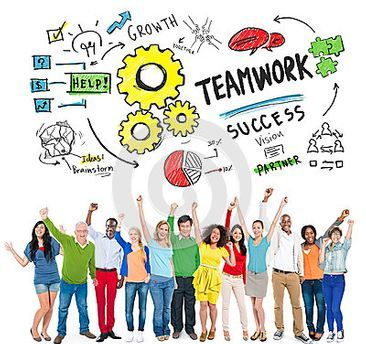 Our hopes in the future are to involve into a Surrey Pride Center to house our LGBTQ2+ Community and provide a Safe Place to host our events Year Round.